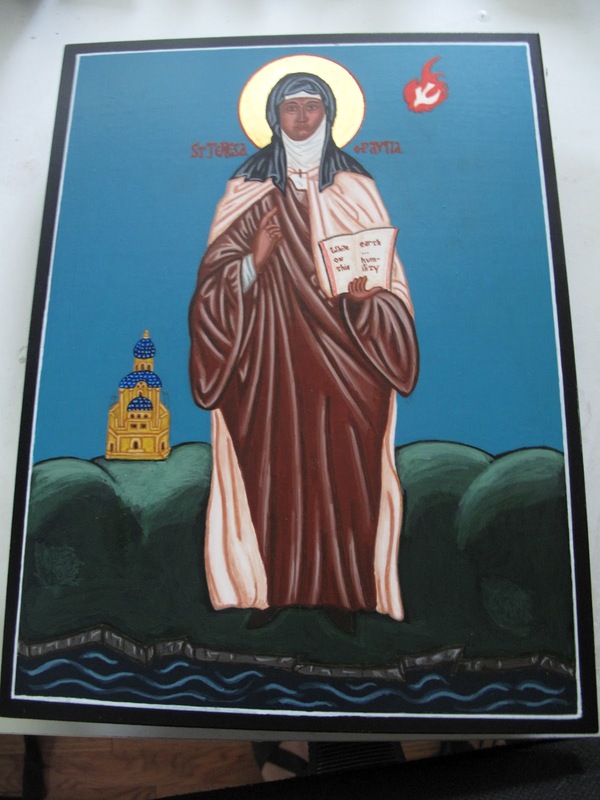 I have completed my icon of St. Teresa of Avila and I am pleased with the way it has turned out. 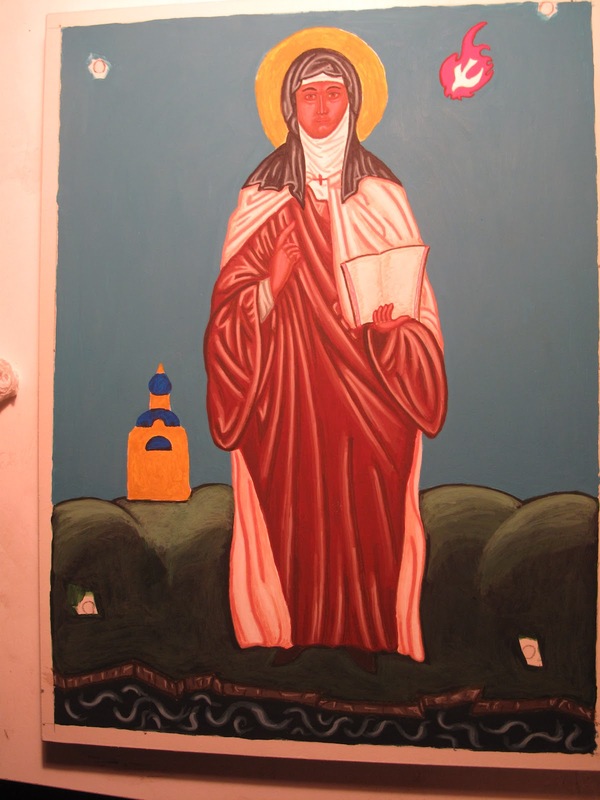 Behind the saint is a representation of the Interior Castle – St. Teresa’s image for the stages of prayer and contemplation and how we encounter God through our own thoughts and imaginings and even going beyond these to that still point where we realize all is grace and pure gift from God. St. Teresa has much to teach us. Recently I picked up a wonderful book on iconography entitled Hidden and Triumphant: The Underground Struggle to Save Russian Iconography. The book is written by Irina Yazykova and it presents the story of how courageous men and women kept the art and prayer of iconography alive during the years and persecution of the communist Soviet regime. At one point in the introduction the author shares the description of iconography as being “contemplation in colors”. I think that this is a wonderful description for the work of iconography and I know that it is a description that I will continue to reflect on and draw insight from. 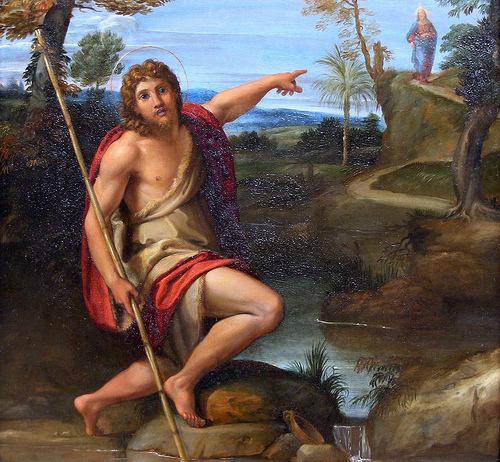 August 29th is the feast of the Beheading of St. John the Baptist. In its calendar of saints, the Church commemorates the day of death. This is done to acknowledge the day of the saint’s “birth” into eternal life – when the saint passes from this world of pilgrimage to the full life of eternity in Christ. This reminds us of our belief as Christians that death is not the end (Christ’s resurrection has conquered death) and also encourages us while we are on pilgrimage to keep our eyes fixed on the full horizon that we are called to and meant for by God and to live our lives accordingly and in hopeful expectation! As forerunner of our Lord’s birth, preaching and death, the blessed John showed in his struggle a goodness worthy of the sight of heaven. In the words of Scripture: “Though in the sight of men he suffered torments, his hope is full of immortality.” We justly commemorate the day of his birth with a joyful celebration, a day which he himself made festive for us through his suffering and which he adorned with the crimson splendour of his own blood. We do rightly revere his memory with joyful hearts, for he stamped with the seal of martyrdom the testimony which he delivered on behalf of our Lord. Since death was ever near at hand through the inescapable necessity of nature, such men considered it a blessing to embrace it and thus gain the reward of eternal life by acknowledging Christ’s name. Hence the apostle Paul rightly says: “You have been granted the privilege not only to believe in Christ but also to suffer for his sake.” He tells us why it is Christ’s gift that his chosen ones should suffer for him: The sufferings of this present time are not worthy to be compared with the glory that is to be revealed in us. With this Sunday’s gospel reading (Jn. 6:60-69) we come to the end of our five week collective reading of the sixth chapter of John and our reflection on Christ as the Bread of Life. In many ways today we are given a very vulnerable scene. Christ has just laid out the teaching of his being the bread of life and people needing to eat of his flesh and drink of his blood. It was a difficult teaching for many of his followers. Many of Jesus’ disciples who were listening said, “This saying is hard; who can accept it?” … As a result of this, many of his disciples returned to their former way of life and no longer accompanied him. These are words of faith and they are also words of humility – the two are connected. 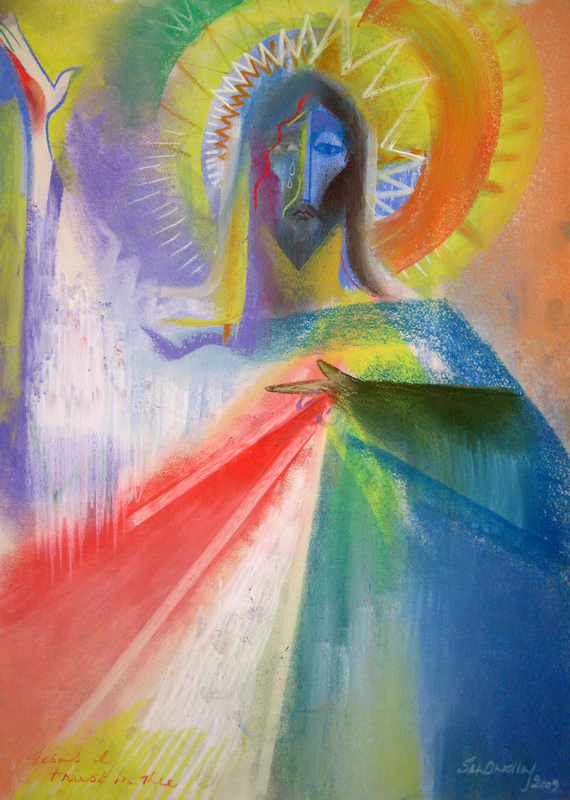 St. Teresa of Avila, in her book The Interior Castle, makes a profound and foundational observation regarding the spiritual life that is helpful here, I believe, “While we are on this earth nothing is more important to us than humility.” Humility is a key component of faith and, in fact, it is a key component of true friendship. No humility, no friendship. Peter does not work it all out on his own and then come to Jesus fully informed and ready to commit himself. Rather, Peter remains with Jesus even in the midst of the uncertainty because in his humility he has come to realize and accept that Jesus does indeed have the words of life and it is by remaining with Jesus that he is brought to greater and greater faith and understanding! The key is humility and the willingness to just remain with Jesus. All of our Lord’s discourse on his being the bread of life is offered and then it is summed up and accepted in the reply of Peter. It all comes back to humility, to faith and the willingness to remain with Christ and to have friendship and intimacy with Christ. 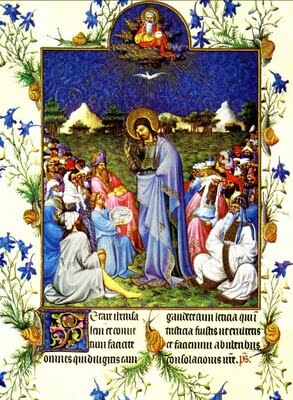 During these weeks when we as the Church have been drawing from the sixth chapter of John’s gospel and reflecting on Christ as the bread of life, I have become more and more aware of how Eucharist and friendship with Christ must be held together and that the starting point for a true understanding of Eucharist is relationship with Christ. The two are that closely bound and connected. In fact, I do not think that one can have a full understanding of Eucharist apart from relationship with Christ. We can talk about transubstantiation, real presence and the matter and form of the sacrament (which are all valid points and have their place) till the cows come home but without relationship with Christ all the talk does not really amount to much. A number of years ago, I saw a saying on a roadside church sign that has remained with me, “People will not care about how much you know until they know how much you care.” God, I think, understands this. 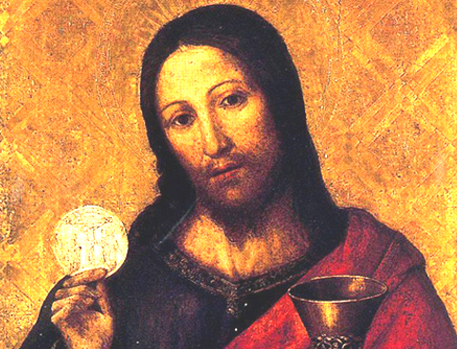 In the Eucharist God reveals the depth of his love. Christ freely and totally gives his own body and blood that we might have life. Notice how in both these passages and in today’s gospel (Jn. 6:51-58) life is achieved through relationship – entering Wisdom’s house, seeking God’s will, eating the flesh and drinking the blood of Christ in order to remain in Christ and for Christ to remain in us. I have just finished reading a new book put out by my friend Fr. 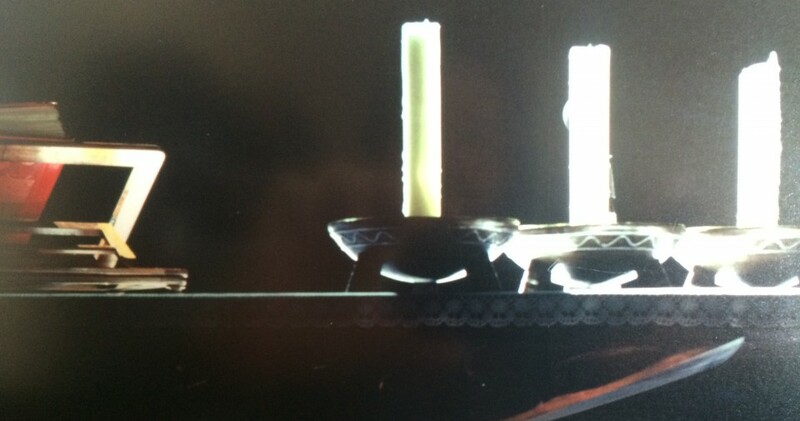 Lou Cameli entitled; Bread of Life: Exploring the Presence of Eucharist in Our Lives. The book is quite good and I highly recommend it but here I want to bring out two points that Fr. Cameli makes in his book. First, in the book, Fr. Cameli explores in detail the sixth chapter of John’s gospel and he reminds us that in this chapter as Jesus is expounding on his being the bread of life he is (in fact) in dialogue with a “more and more concentrated set of interlocutors”. At first Jesus is talking with a crowd, then it is his disciples, then it is the Twelve and, I would say, finally Jesus is in dialogue with you and me. The invitation that Jesus has put out there for the people has become too much, too intense – many people walk away. Jesus puts the same question to each of us; Do you also wish to go away? It is a question of relationship, of friendship. It is a question that only each one of us can answer for himself or herself but notice how Christ as the bread of life and relationship/friendship are intertwined and connected. So, the critical importance of the Eucharist happened for me, because the Eucharist became important at important junctures of my life and in the ordinary rhythm of daily life. I understand how those who have not had this blessed experience would neither know the Eucharist nor find it that important. There is a circularity here in the logic of this relationship: it is central because it becomes central; it remains peripheral because it remains peripheral. The spiritual or formational challenge is to break into this circle of relationship and to begin to practice familiarity. The language is relational – friendships become important to us because we allow them to become central to our lives. The Eucharist becomes central because we allow it to become central. Throughout this chapter of John’s gospel as Jesus speaks of himself as the bread of life we also find him inviting us to relationship and friendship; even to the point of accepting the poverty of seeing people walk away. Do you also wish to go away? 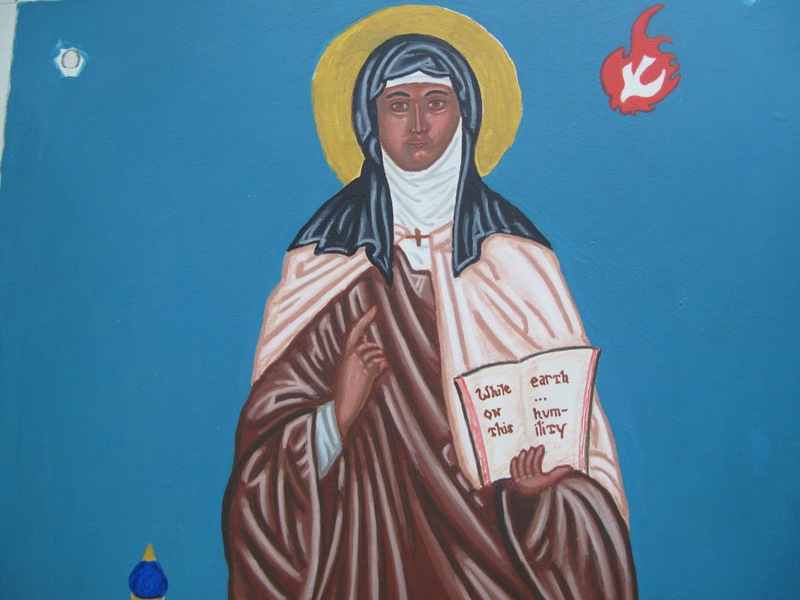 In her reflection on the First Dwelling Places in The Interior Castle, St. Teresa offers this bit of sound spiritual advice: While we are on this earth nothing is more important to us than humility. I have decided to make this the quote for the icon, although I had to shorten it as you can see above. Humility has its roots in the word humble meaning “close to the ground”. Humble is rooted in the Old French word umble coming from Latin humilis meaning “low, lowly”. Further, humilis is a derivative of humus meaning “earth”. “To be humiliated” means to be brought low by either another person or circumstance, brought back down to earth (this might be a good thing or not depending on the circumstance and ones viewpoint). To strive for humility (as Teresa suggests throughout her writings) is to acknowledge the truth of who we are before one another and before God. Humility leads to authenticity. In iconography one of the three colors mixed to create the proplasma (which is the base color for flesh) is olive green. When we look at a person’s face we can see tints of green. I think this might be where the saying, “green with envy” has its start. The awareness of the need for green to form the base of flesh in iconography is a visual teaching on our connection to earth (humus) and our need for humility in life. St. Teresa’s advice is sound for all persons, all circumstances and especially our day and age. Authenticity in who we are and in our relationships with one another and even with God can only be achieved when we cultivate humility in our lives. On this second Sunday of the five consecutive Sundays when the Church draws from John’s Gospel to reflect on Jesus Christ as the Bread of Life we are given an invitation. 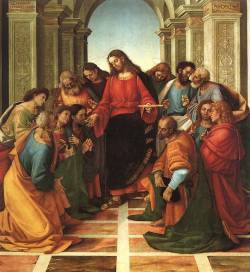 After the feeding of the multitude and our Lord withdrawing for some solitude we are told that the crowds in today’s gospel (Jn. 6:24-35) come in search of him but their intent is not the most sincere and our Lord is aware of this. Amen, amen, I say to you, you are looking for me not because you saw signs but because you ate the loaves and were filled. This is one expression on seeking faith in order to be filled but there are others. Many of which are found and promoted even within many churches today. Another expression is seen in equating real faith with an emotional high gained from a certain type of worship or retreat experience. It is only faith if I feel it and it fills me up. A further expression (closely linked to the previous two) is the Jesus who satisfies my every need and who shelters me from any real problem, hurt, crisis or need in life. There is a common thread that runs through all these forms of faith based in the desire to be filled. 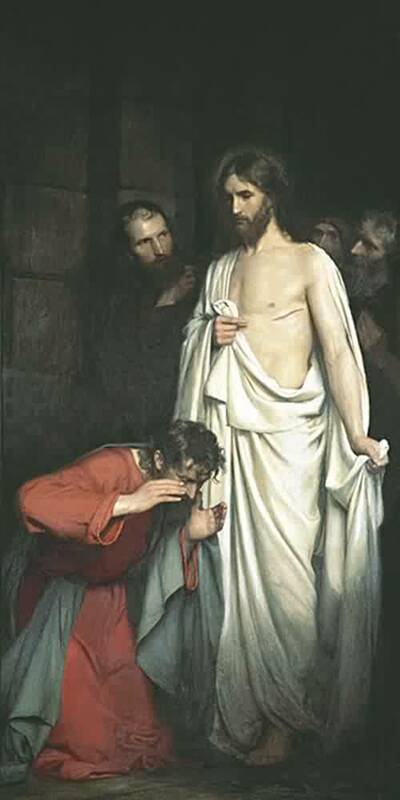 Despite often loud attestations to the contrary which proclaim Jesus as Lord these approaches actually have the person him or herself as the center of existence and Jesus as just the means to the end of my material well-being, my emotional well-being, my personal sanctity and my eternal glory. The focus is not so much on Jesus as it is on me. The gospel invitation which we are given today is to move beyond this narrow faith seeking to be filled in order to find true faith and true relationship with Christ. After chiding the crowds for the real reason why they sought him out Jesus goes on to say, Do not work for food that perishes but for the food that endures for eternal life, which the Son of Man will give you. 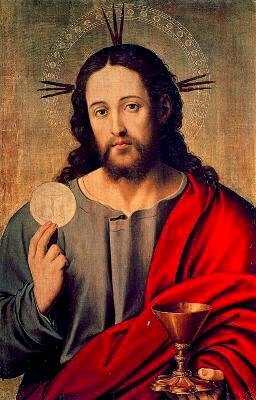 When the crowds ask for this real food, this true bread, our Lord says, I am the bread of life; whoever comes to me will never hunger, and whoever believes in me will never thirst. True faith is not found in using Jesus as a means to personal satisfaction but in seeking a living relationship with Christ and in committing ones life to do the very real work of acknowledging him as Lord. Yes, there is an aspect of “work” to faith. 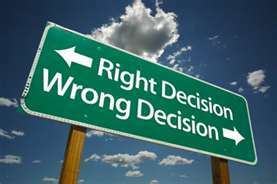 Faith requires decision, commitment, toil, choices, and abandonment and sometimes even going against the stream, risking to be unpopular and even be persecuted for what one holds to be true. This is the work of faith – we see it in the lives of those first disciples and the same invitation is given to us today. In contradiction to faith which seeks to be filled it is worthwhile to conclude with a prayer which expresses the work of true and mature faith. This is the Suscipe of St. Ignatius of Loyola. Notice that where the faith of the crowd can only ask what it can get from Christ; this faith asks for the grace to give more for Christ. I would contend that only someone who had truly accepted and lived the gospel invitation of seeking a living relationship with Christ could write this prayer. St. Ignatius and all holy men and women who accepted our Lord’s invitation to faith and encounter with Him, please pray for us.